It may surprise you that I am willing to openly admit that I watch American Idol. It’s not, after all, a show you’d think a lot of guys my age watched. But, believe it or not, it’s actually become one of my favorite shows. Why? Well I have a sense of humor that some would say is a bit cruel. I LOVE watching contestants strut out there in front of the judges and totally bomb. I love it! But what does watching hundreds of aspiring singers failing miserably have to do with blogging? That exactly what I’m going to tell you in American Idol: Lessons on Blogging. American Idol is in it’s 7th season and one thing has been bothering me ever since the show began. For the life of me, I can’t figure out how in the world these people’s friends and family let them get anywhere near this show. I mean it’s not like they’ve never heard the person sing before. The only thing I’ve come up with is that these people either think that their son, daughter, friend, whatever can actually sing, or they just can’t bring themselves to tell them otherwise. Either way, they’re really not doing them any favors because once that poor contestant gets in front of the judges they have to find out not only are they horrible singers, but their friends and family are either tone deaf or liars. The same thing happens time and time again to bloggers. They are told that anyone can start a blog, they read stories about Darren Rowse and John Chow and their success and figure why not me? But the truth is, not everyone can be a successful blogger. There is one critical ability that every blogger must have if they’re going to be successful… they have to be able to write. I’ve said time and time again that you don’t have to be the next Shakespeare and you don’t even have to spell correctly or anything like that. However, you absolutely MUST be able to communicate so that other people can understand the point you’re trying to get across. I’ve read blogs where every single post leaves me wondering whether the author had a point or just had too much to drink and found their way to the keyboard. I don’t like being a negative person but if a blogger can’t communicate, they’d probably be better off trying something else. One of the biggest downfalls for Idol contestants is trying to do too much. They want to impress the judges so much that they pick a “huge song” as Randy puts it, and can’t pull it off. Even though they may actually be very good singers, they over reach and wind up sounding horrible. While the judges will sometimes reward contestants for taking risks and trying something new, more often than not it ends the singer’s quest to become the next American Idol. Unfortunately, bloggers often make the exact same mistake. Obviously there aren’t three people sitting in front of us judging whether or not we can continue blogging, but your visitors are judging your content every time they read it. If you try to do too much, cover too many topics for example, you’ll end up as the old saying goes being a jack of all trades but a master of none. Rather than becoming an authority on one topic or in one niche, your content will be all over the place and you may come across as flaky. I should emphasize that I’m not saying don’t take risks or that you always have to play it safe. However, if you’re constantly trying to do too much or be too many things to too many people, you’ll end up failing and possibly burning out along the way. If your blog is about sports, technology, cars, food, and flowers chances are you won’t see a lot of success. Even A-listers have to be careful on this front. Most of the criticism I’ve seen of John Chow’s incredibly successful site, is that he strays across all sorts of topics. While he can apparently get away with it, you’re not likely to. 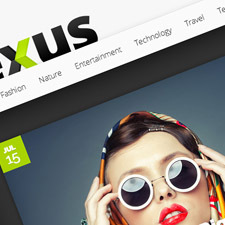 If readers don’t know what to expect and can’t see value in subscribing, they won’t come back. The past couple of seasons judge Randy Jackson has stumbled onto a new favorite (and I’m fairly certain made up) phrase: pitchy. For example, a few weeks ago when a young lady sang fairly well, but sounded a bit like a turkey when she hit the higher notes, Randy said that she was too “pitchy”. Obviously the term isn’t something Idol contestants want to hear and very often it signals the end of their journey on the show. Every time I hear that phrase (and it’s been happening a LOT this season), I can’t help but think how the same principle applies to blogging. Obviously blogging deals with written communication so you don’t have to worry about hitting the right notes or tones but you can still fall victim of being too “pitchy.” Many blogs, especially those trying to make money online, use affiliate marketing or sales to generate income for their site. However, if you come across like a used-car salesman, your message won’t be very well received. Sure you can recommend a product or service, but if every post seems like one of those late night infomercials, your blog won’t have readers for you to pitch products to for very long. Most people will trust an open and honest review or recommendation over the over-hyped and over-sold product push any day of the week. Not only will you end up referring more people, but you’ll also still have that little thing called credibility. As it turns out, I’m not the only one that enjoys watching the spectacular failures that happen every week during the auditions. One of the worst was William Hung’s slaughter of the song “She Bangs.” While this was hardly a musical masterpiece to begin with, Hung managed to make it much, much worse. 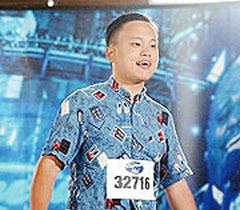 Surprisingly, even though he didn’t even come close to becoming the American Idol, Hung began getting requests to “perform” from people all over the country. The video was an internet sensation and eventually Hung landed a record deal to butcher other popular songs. Imagine the success you’d have if every time you failed at something on your blog, you were able to spin it or capitalize on it to the extent William Hung did. Obviously you shouldn’t aim for failure but as we discussed in The Simpsons: Lessons on Blogging, plans are going to fail. It’s just that simple. But rather than being frustrated or giving up, figure out a way to leverage that failure. Recently Steven York from seopher.com wrote a guest post on JohnChow.com about how to write with confidence. The post caught the attention of several people, one of them being Problogger Darren Rowse who wrote a rebuttal post explaining why he thought Steven was wrong. Now, I’m guessing Steven hadn’t been hoping that an A list blogger would essentially call him out for that post. In many people’s minds that would have gone down as a pretty significant failure. But, rather than sitting around lamenting his bad luck, Steven seized that situation as an opportunity and capitalized on his previous failure by sharing his lessons from the experience in a post which allowed him to not only explain where he was coming from and save face, but come out of the whole thing with some decent exposure. The Learn from My Mistakes series here is another great example. Sure these are mistakes I’ve made or failures I’ve experienced but they’ve become some of the more popular posts on this site and add to the “regular guy” image that this blog has developed. American Idol is one of the most watched shows on television and there are bound to be fans of the show amongst my readers. Even though it deals with singing and watching people’s dreams get demolished right before our eyes, I’ve just listed four significant lessons bloggers can learn from the hit reality show. However, as with every list I create, there’s no doubt in my mind that I’ve missed a few obvious examples. Please feel free to weigh in with your thoughts on the lessons I listed and suggestions for ones I missed in the comment section below. I’m a new blogger, with, of all things, an American Idol blog! (predictidol.com) Yes, I’m late to the party, as usual, but I wanted to give it a try. You’re right on with “Ignorance Isn’t Bliss,” but on the other end of the spectrum are lots of people with talent who don’t try out for American Idol because there are 100,000 others to compete with. In the blogging world, it would be great if the odds were even that good! But you can’t win if you don’t show up at the arena and get in line to await your turn in front of the judges. That’s how I feel about my blogging experience. It may not work out, but it surely won’t if I don’t give it a go. I freely admit that, although I would probably enjoy writing about Idol anyway, I am doing this to see if I can generate some side income. My readership is slowly growing, and I am confident that eventually it will take off (or at least taxi down the runway and rev the engines) I have a lot (A LOT!) to learn, but I’m enjoying it. And hopefully I can become better at blogging than William Hung is at singing (bless his heart). Serena, that’s another great point and one that I probably should have picked up on as well (would have balanced out my negativity from the Ignorance isn’t Bliss point nicely). You definitely won’t know unless you try! There will always be a lot to learn but it sounds like you’re on the right track. I’ll have to sneak over and check out your blog. I’ll just make sure know one sees me on it and realizes how close to being addicted I am lol. Show up BIG or don’t show up at all. As well as hearing from the judges that people have bitten off more than they can chew, you also hear that they have chosen a song that was too safe or that they did not make it their own. This is a lesson in blogging as well. The blogosphere is very crowded and if you don’t stand out as being original and aren’t willing to give it everything you’ve got to succeed, you might as well not show up at all. Good post and very true. There are some things that people do that will inevitably doom them to failure yet they do them anyways. I think the judges may have made a mistake sending Josiah home early he’s better than some of the people that got no airplay and still made it. Yeah I watch the show too. My lesson to add is: HONE YOUR CRAFT! In Idol, if you don’t get BETTER and BETTER with every single performance you’ll get lost behind those that started off good but became excellent. Practice, research, study, learn, grow, expand. Become more than you were when you began. Use your experiences to continuously push for a new personal best. I love these lessons we can learn from television. It puts pretty much EVERY show, rediculous to worth watching, into a new perspective. I’ve often thought a lot of television is a waste of time but the important thing is to find the value in what you do choose to watch. Very nice analogy. I especially like the bit about capitalizing on failure. You have really a sense of humor. You are associate bloggers with failured singers. Could it be worser? Last night on American Idol 30- million people saw a quick clip of the garments of David Archuleta’ s father (in the 10- year old video clip of David and his dad). And there’ s no question that’ s what we were looking at.